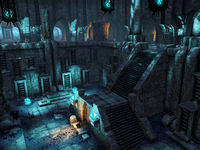 In the mortal realms, libraries are known as places of learning and scholarship, where those who seek truth may be able to find it. A library in Coldharbour is a place of indoctrination, where one will find only the truth according to Molag Bal. 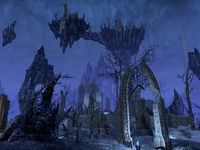 The Library of Dusk is an Ayleid ruin in southern Coldharbour, west of the Hollow City. 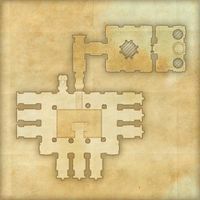 Library of Dusk Objective: Discover the fate of the lost scholars. 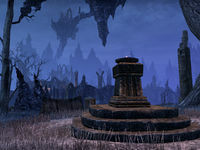 The Library of Dusk Wayshrine is located to the northwest of the ruin, near the scholars' campsite. This wayshrine only comprises a brazier, and does not have a housing structure.